Hashimoto’s thyroiditis: what is it and what can you do to finally start feeling better? Hashimoto’s Thyroiditis affects 14 million people in the United States, and many people walk around without even knowing they have this autoimmune disease. In my practice, I specialize in Hashimoto’s, and see patients every single day that have all of the classic symptoms of Hashimoto’s but do not have a formal diagnosis. They come to me frustrated because they have gone through extensive testing, working with countless conventional medicine doctors only the be left without an answer. 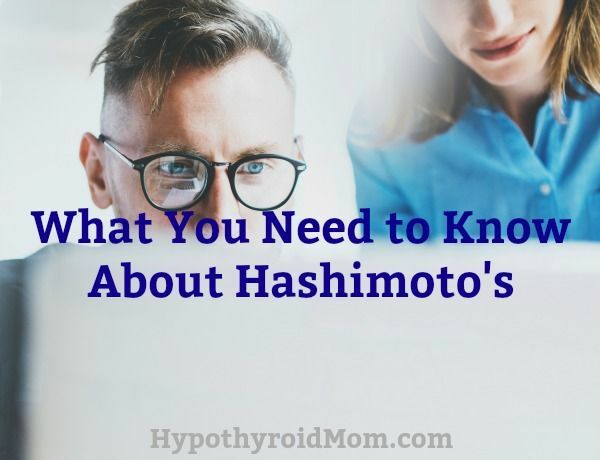 As a Functional Medicine Doctor who specializes in thyroid health, I happen to know that Hashimoto’s is often misdiagnosed, overlooked, and not taken seriously if conventional lab values don’t indicate thyroid disease. However, I also happen to know that functional lab ranges are quite different from conventional lab ranges and that catching Hashimoto’s in the early stages is one of the best ways to get into remission faster, and to improve your overall outcome with this disease. The photo on the left was me when I was sick. I was 30 pounds heavier than I am now in the right photo and had no idea what was wrong. I had never had a weight problem and thought I was eating a healthy diet. This is what inflammation did to my body! I feel like one day I woke up and did not even recognize myself. I had such bad brain fog that I could barely think straight and I suffered from debilitating fatigue. Because my lab tests were in the “normal’ range, I got dismissed from every doctor and was told to stop eating so much and start exercising. I was already eating what most consider a very healthy diet and working out 6 days a week, only to get more and more sick. I felt so alone and like no one cared at all about what was happening to me. I knew I had to find a solution to this and that I would have to do it myself. This is when I started to learn about inflammation and the impact it can have on our health. 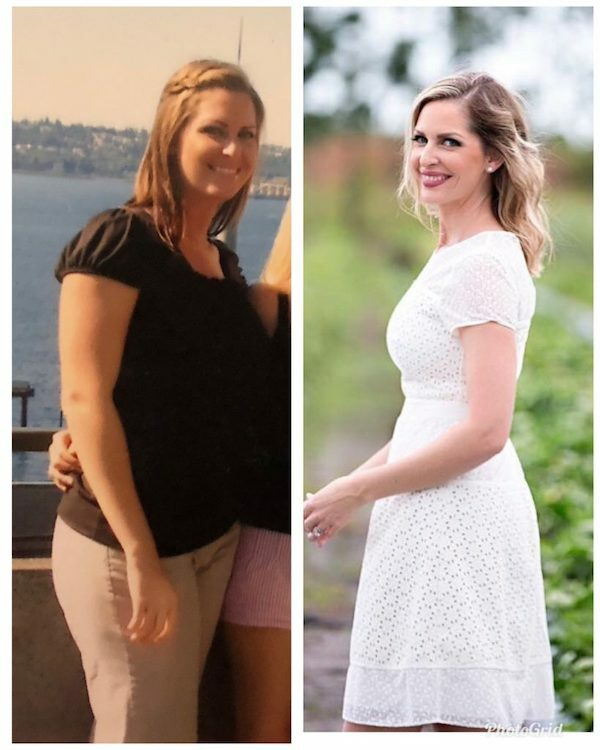 This is why I am going to walk you through exactly what I did to start back on the road to health. I have seen first-hand, in myself and in my patients, that it is very possible to overcome the root causes behind your symptoms like fatigue, weight gain, pain and skin issues…just to name a few. Whether we are diagnosed with thyroid issues, diabetes, autoimmune disease or have no diagnosis yet, inflammation is at the root of the problem. Hashimoto’s disease is an autoimmune condition and is also the number one cause of hypothyroidism. In fact, approximately 90% of patients suffering from hypothyroidism have Hashimoto’s disease. When dealing with Hashimoto’s disease, your immune system produces antibodies that slow down thyroid hormone production. This also causes a reduction in other body processes as well such as metabolism, and heart rate. With Hashimoto’s being one of the most widespread thyroid conditions seen today, let’s take a look at some of the most classic symptoms. So, what causes Hashimoto’s Thyroiditis? There are a number of things that can cause this condition, but there is no one exact cause. With that being said, here are some of the risk factors. Being a woman-Hashimoto’s affects more women than men and also tends to follow pregnancy in some cases. Many conventional medicine lab tests will completely miss a Hashimoto’s diagnosis. This is because the conventional lab ranges are far too wide. Conventional medicine doctors may also only use one lab test to check for Hashimoto’s as opposed to Functional Medicine Practitioners who use a number of tests to determine what is going on in the body while also taking symptoms into account. While you cannot prevent Hashimoto’s disease, there are many steps you can take to start to feel better. The first step is getting diagnosed. As we just talked about, conventional medicine often overlooks Hashimoto’s disease, so working with a functional medicine practitioner who is able to run the proper lab tests, and interpret them appropriately for underlying thyroid conditions is an essential first step. Once you receive a proper diagnosis, there are some other steps you can take as well. There is a very strong link between Hashimoto’s disease and gluten intolerance which is why I recommend that all my patients remove gluten from their diet. Gliadin is a protein that is found in gluten that happens to have a similar molecular structure to the thyroid. This can be very problematic for someone with Hashimoto’s, as the body may not be able to differentiate between the thyroid and gliadin, so your immune system would mark both of them as invaders and attack. Removing gluten from the diet can also help reduce inflammation in the body which is another important step as Hashimoto’s is an inflammatory condition. So many of my patients have seen tremendous improvement from removing gluten from their diet. Many of them feel more energized, experience less bloating and other digestive discomfort, and no longer suffer from debilitating brain fog. However, it is important to know that not everyone who removes gluten from their diet will immediately feel better. This is because there are so many pieces to the puzzle when it comes to getting into remission, but it is still a very important step in feeling better. Since Hashimoto’s is an autoimmune condition, it is very important to remove inflammatory foods from your diet, including foods that your body is reacting too. Any unnecessary sources of inflammation are going to overtax your immune system even more than it already is. By following an elimination diet, or getting tested for food sensitivities, you can determine which foods are keeping you sick, and what foods you should include in your diet to restore hormone balance and feel better. If you want to start an elimination diet, you may want to try eliminating dairy, gluten, grains, soy, and sugar from your diet. I recommend keeping these out of your diet long term, but if you want to include certain foods like dairy or grains back in, do so after at least 60 days. After having these foods removed for a 60-day period, you can reintroduce them one at a time being sure to only reintroduce one food for three days straight to watch for any reactions. If you choose to add dairy back in, I recommend choosing raw dairy products as many people can tolerate raw but not conventional dairy. If you choose to add grains back in, choose sprouted grains as these will be easier to digest. I would not recommend adding gluten, sugar, or soy back into your diet, as all of these can be very harmful to thyroid health. After following 60 days of a diet free from these inflammatory foods, you will most likely feel much better than you did before starting the elimination diet and feel encouraged to keep this way of eating up! Once you determine which foods were triggering certain symptoms, you will be less likely to want to add them back in. Instead of consuming these inflammatory foods, try adding more dark leafy greens, organic and grass-fed animal products, low sugar fruits, nuts and seeds to your diet if tolerated. Stress reduction is a huge part of recovering from any condition, and Hashimoto’s is no exception. Stress can make everything worse, and it can lead to further hormone imbalance. I happen to like mindfulness training to help train your brain to be present in the moment and shut out any unnecessary stressors. I also like yoga, meditation, and moderate daily exercise for overall stress reduction. Proper testing is a huge part of recovering from Hashimoto’s. Some of the tests you would want to get done by a Functional Medicine Doctor include: A complete thyroid panel, food sensitivity testing, gut infection testing, heavy metal testing, adrenal gland tests, and blood sugar testing. All of these tests are part of the holistic approach to treating Hashimoto’s. The complete thyroid panel that I like to run on my patients includes TSH, T4 free and total, T3 free and total, reverse T3, T3 uptake, anti-thyroglobulin antibodies, and thyroid peroxidase antibodies. I also look at lab ranges using the functional ranges instead of conventional. The functional lab ranges for TSH is 0.5-2.0 whereas the conventional lab range for TSH is 0.5 to 4.5 for most labs. The problem with this is that the conventional range is far too wide. You could be experiencing all of the symptoms of thyroid disease, but not be diagnosed because your labs are “normal.” However, some patients will start to produce thyroid antibodies when their TSH is higher than 2.0 and also experience numerous symptoms. While not everyone with a TSH level of 2.0 will need treatment, using the functional range allows us to take a closer look at what is going on in the body and potentially prevent thyroid disease from getting worse if it is just starting to surface. In all of the years I have been working in functional medicine, and working with patients with Hashimoto’s, I have learned that everyone has a different root cause. While someone may have one underlying trigger, someone else may have a handful. Here are some of the root causes I commonly see in my practice. Understanding what your root cause is, is essential to treating Hashimoto’s, and knowing how to go about reversing the triggers is just as important as uncovering them. By taking a holistic approach to health and being your own health advocate, you can understand what’s driving your thyroid condition so that you can finally feel better, and take your life back. Dr. Becky Campbell is a board-certified doctor of natural medicine who was initially introduced to functional medicine as a patient. Becky wrote the book The 30-Day Thyroid Reset Plan: Disarming the 7 Hidden Triggers That are Keeping You Sick . I have thyroid and it’s been very difficult, 15 years of Brain fog,weight issues,depression,hair losse e.c.t my heaviest weight was 275 I lost 115 pounds in one year however I still can’t sleep, concentrate feels like I’m in space with no oxygen. I have been doing fairly well off and on. I notice about every 5 months I break out in a rash and inflammation takes over!! I can’t figure out the cause yet!! During this time I’m tired and rashes take over! Medical Medium, Life Changing Foods, I have these, And have changed my diet forever. med. Got tested and thyroid was bad, bad, bad so back on the thyroid med again. Felt better while off the med. I am trying Medical Mediums suggestions. Off medication for 3 months abd feeling better but on weight loss as yet. How are you feeling..have you kept up the juicing and still sticking to gluten..dairy free diet? Yes what is medical medium? Medical Medium has the answers you are looking for, I completely reversed my condition. You have described my condition. I already had all these symptoms before I had a Pituitary tumor removed and started thyroid med. I am getting to the point of stopping all my meds , because I feel so much better when I forget to take them. I fought hot flashes for 40 years and now I fight cold. I like taking Iodine sublingual better than thyroid med but I cant get a straight answer on what other stuff it does for me. I just had a complete plate done by my endo. She said just keep taking the med I will try the diet changes and will see if it helps. Thanks for your input. Your endocrinologist is on the right track. The reason they do this is that even though the progress of the disease can be halted by suppressing the immune system, the effects of these drugs are far worse than just treating the eventual hypothyroidism that results. Remember to take a lot of the articles on this site with a grain of salt. Use extra caution with articles written by “functional” practitioners. There’s a lot of psuedoscience surrounding this condition and it can be frustrating. But they are right about the ranges most doctors use — most endocrinologists use narrower ranges than family practitioners. I have this and it is not fun. This is this the first time I have heard about removing Gluten my my diet. I am going to try it! I am just beginning to research this condition for my 19 year old daughter. I am disappointed that several doctors who seem to be pointing the way to a new way to deal with it (in contrast to the endocrinologist we saw today who offered no solutions other than to watch and wait for it to get worse) are selling something. I would think people would be beating a path to their doors and all this selling would take away from teaching other doctors. Maybe I’m naive. I guess I just would like to find a doctor in my area or sort of not too far away who offered a more positive approach. I looked at list of doctors on line and the links are old. I got a couple names to try but this seems like a very expensive road ahead just buying supplements and air cleaners and books and courses. I am feeling very overwhelmed and cynical right now. Why would endocrinologists not want to treat this condition aggressively instead of telling everyone their levels are normal? It doesn’t make sense. They are actually turning away business.